Visitors to Bury St Edmunds are demanding better parking facilities as a new study shows that on certain days of the week the town’s car parks are busier than ever. But, as in previous years’ reports, there are clear reasons why the town is busy with cafes and restaurants highlighted as among the most positive aspects of the town centre, together with its retail offer and physical appearance. All are rated significantly higher here compared to large towns nationally and 96% of those who took part in the survey said they would recommend a visit to Bury St Edmunds. The figures are revealed in a ‘benchmarking’ study looking at how the town is perceived by the people who use it. 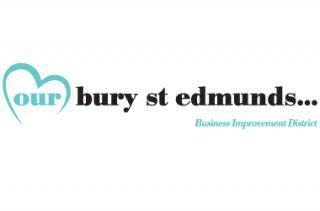 The findings will be presented to businesses in the Business Improvement District (BID) tonight (July 19) at the Our Bury St Edmunds Annual General Meeting. Our Bury St Edmunds Chief Executive Mark Cordell has welcomed the report, while acknowledging that there is no room for complacency. He said: “This survey has reinforced the view that Bury St Edmunds is still a great place to live, work and run a business. It’s perceived as considerably cleaner, safer and more attractive as a town than other large towns nationally and people are keen to spend money here – 40% of town centre users typically spend more than £20 on their visits to the town. 96% of people said they would recommend a visit to Bury St Edmunds to others – which is 28% higher than other towns. Bury’s car parks are busier on both market days and non-market days than the national average. Only 19% of spaces are empty on a market day and 35% on a non-market day. A new question, introduced this year, about provision of public toilets in the town saw 37% rate the facilities as a negative aspect with a number of comments calling for better provision. 34% of respondents called for better transport links to Bury St Edmunds, a slight increase on previous years. The study was commissioned for the sixth year running and was carried out by researchers from People and Places via an online survey and face to face interviews. The full report will be considered by the board of Our Bury St Edmunds in the coming weeks.